The first guide to UK veterinary degrees which contains information directly from admissions staff at each veterinary school. The first national survey of veterinary employers on the subject of their graduate employees from veterinary schools in the UK, Ireland and the Netherlands. 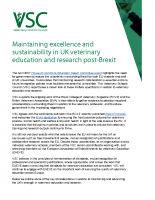 This report highlights the key issues surrounding the UK leaving the European Union and how this may affect veterinary education and research. 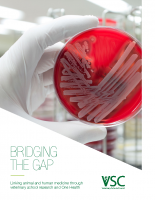 This report highlights the world-class research undertaken in veterinary schools of the UK, Ireland and the Netherlands, and shows how this research has had real impact across Europe and beyond. 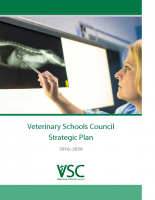 Developed jointly by the heads of veterinary schools and the committees which comprise VSC, the Strategic Plan outlines priorities along key themes: leadership; curriculum and assessment; sustainability and efficiency; recruitment; research; and position in Europe.